The College of Mount Saint Vincent is a liberal arts college rooted in the Catholic intellectual tradition and the mission of its founders and sponsors, the Sisters of Charity, “…to share in the ongoing mission of Jesus by responding to the signs of the times…and by revealing God’s love in our lives and in our varied ministries with and for all in need, especially the poor.” Built on this foundation, the College is committed to excellence in all things, truth and integrity at all times, and respect for human dignity in all dimensions of the ethical and moral way of life. This identity is lived out in our faith, academic and community lives. Deeply rooted in the life and teachings of Jesus Christ as lived out in the Catholic tradition, the College provides opportunities for spiritual growth for all its members. These include liturgy, prayer services, retreats, discussion opportunities, sacramental preparation, symbolic and artistic expressions, as well as interfaith prayer and dialogue. The College provides myriad opportunities for service. A key component in this effort is a vibrant Campus Ministry. While the College recognizes its connection with the universal Catholic Church, at the same time, it welcomes students, faculty, and staff of all religious traditions and of no religious tradition as valued members of this community of study and dialogue. As each person deepens his/her personal relationship with God, we are all enriched. 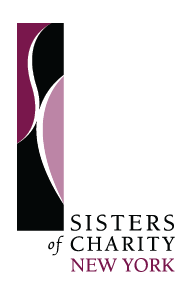 Sisters of Charity Housing Development Corp.